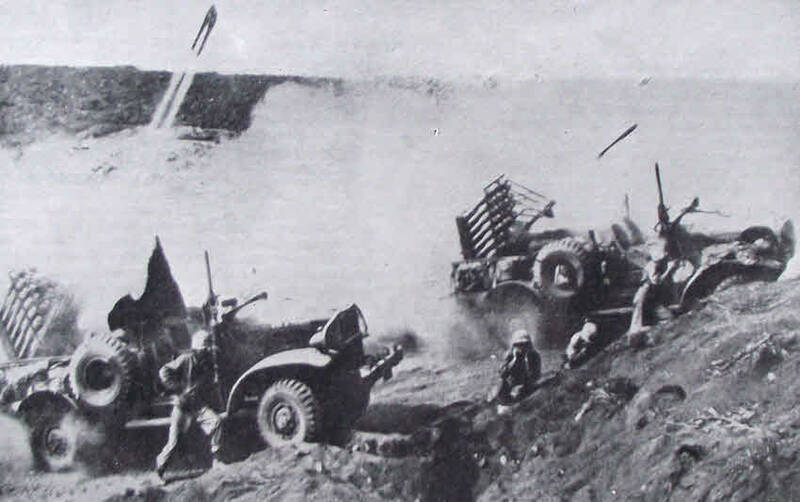 Here we see two US Marine Corps truck-mounted rocket launchers in action during the battle of Iwo Jima. Each truck carried three rocket racks, each armed with twelve 4.5in Mk 7 rockets. They were carried on International M-2-4 one ton trucks, produced to Marine Corps specifications.